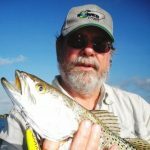 Have you ever wondered how the N.C. Division of Marine Fisheries came up with the data and statistics they use to regulate Tar Heel fisheries? Have you ever questioned their data and wanted to become involved to be sure the data is correct? Well, there is an opportunity available and the DMF will be training all current and prospective fish taggers on April 16 and 18. 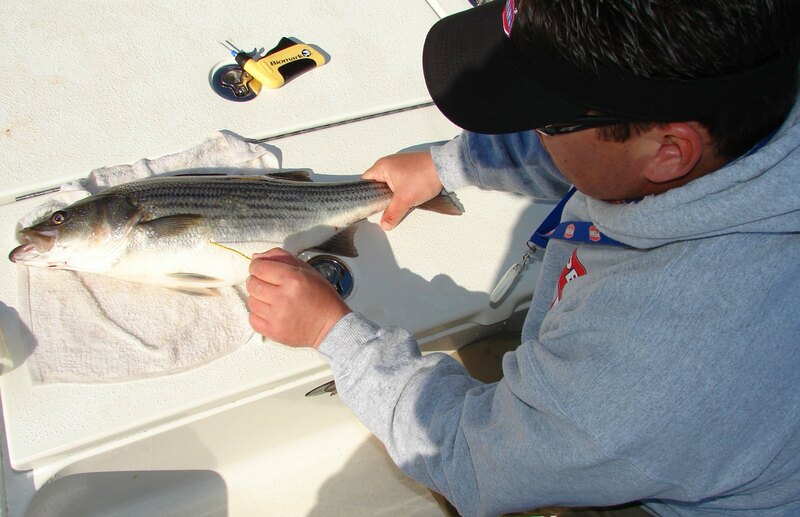 The N.C. Division of Marine Fisheries will hold two workshops during April to train current and prospective taggers in the proper methods of tagging fish. The workshops are free, and anyone interested in becoming a fish tagger for the DMF’s Multi Species Tagging Program is welcome to attend. Current taggers should plan to attend also. During the workshops, DMF staff will provide information on the purpose and expected benefits of the tagging program, plus highlight results from the previous four years of tagging. 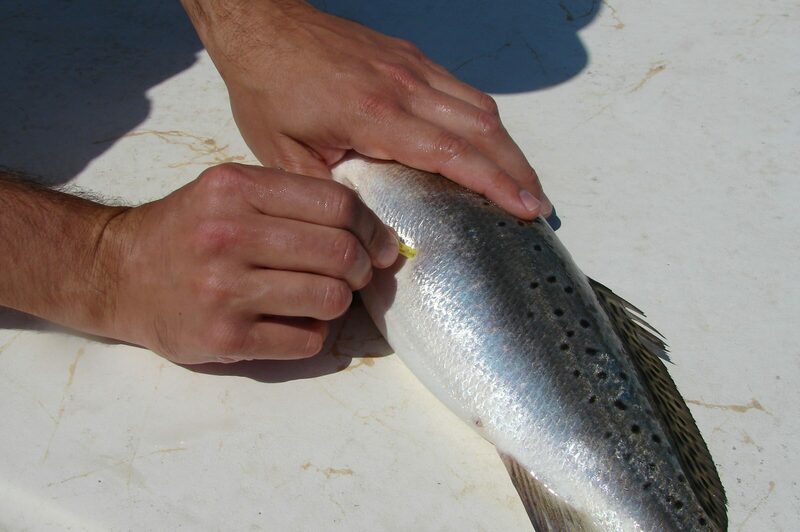 DMF researchers use fish tagging to study the migration, growth, habitat use and population status of striped bass, red drum, spotted seatrout, southern flounder, and cobia in North Carolina. 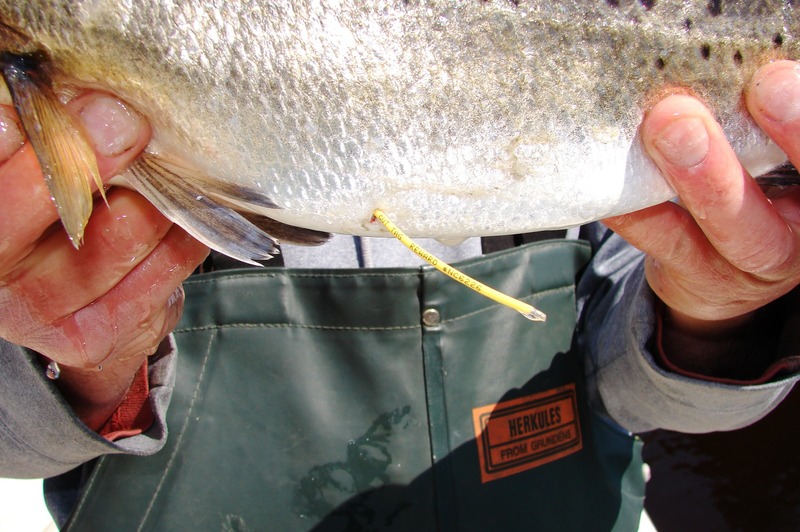 Fish tagging programs are a vital part of assessing and managing fish populations. The second part of the workshop will be demonstrations and hands-on practice for proper tagging methods and tag placement. Both workshops will begin at 6:00 P.M. The April 16 workshop will be held at the Dare County Government Office, 954 Marshall C. Collins Dr., in Manteo. The April 18 workshop will be held at the N.C. Division of Marine Fisheries Central District Office, 5285 Highway 70 West, in Morehead City. For more information, contact Steve Poland, DMF marine fisheries biologist, at [email protected] or 252-808-8159.